Fully functional new teeth in one day. Preserve jaw bone and facial structure. Permanent solution to missing teeth. Chew your food effectively and comfortably. 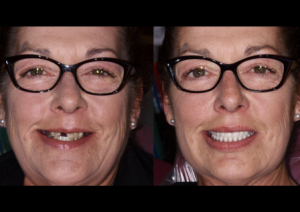 Closest visually and functionally to your natural teeth. Zirconia is the strongest and most esthetic material option for natural, beautiful teeth. Zirconia does not scratch, discolor, or wear down like acrylic. 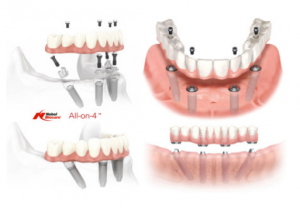 -Extractions, IV Sedation, Bone Grafts, Temporary Appliance and Nightguard. -2 free cleanings and 2 free removal and implant maintenance visits included. -Extractions, IV Sedation, Bone Grafts and Temporary Appliance. 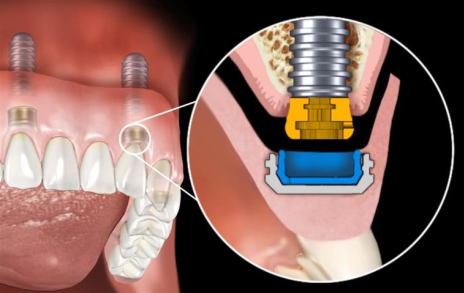 More secure than traditional dentures so no adhesive needed. 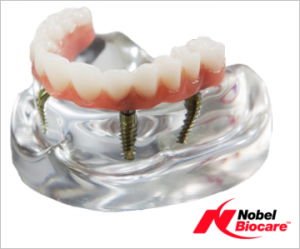 More natural and comfortable since they are smaller than traditional dentures. *Included: Overdenture, Implants, Bone Grafts and Sinus Bump if needed.